Ladies micro pave set diamond accented engagement ring of classic styling. The ring is crafted in 14k yellow gold and is set with one round brilliant cut diamond at center and 18 round brilliant cut diamonds down the shoulders. 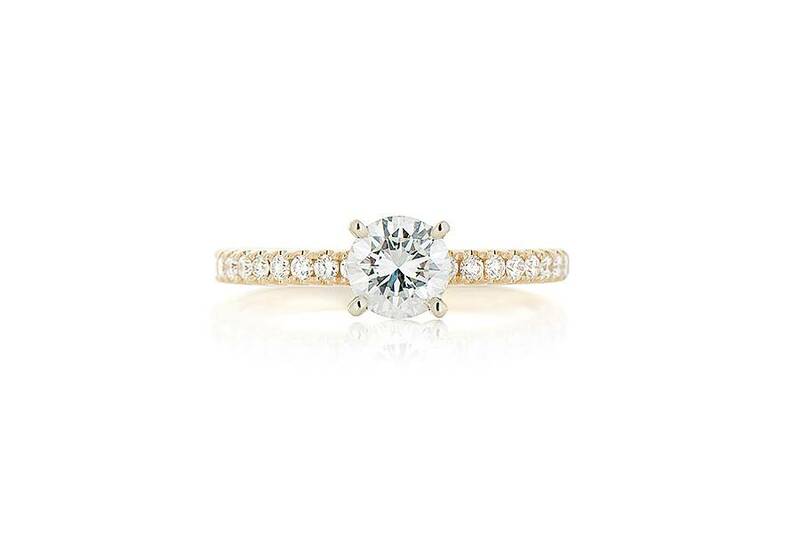 The center diamond has a weight of 0.63ct and is independently appraised. The shoulder diamonds are micro pave set down the sides and framed with multigrain detail.